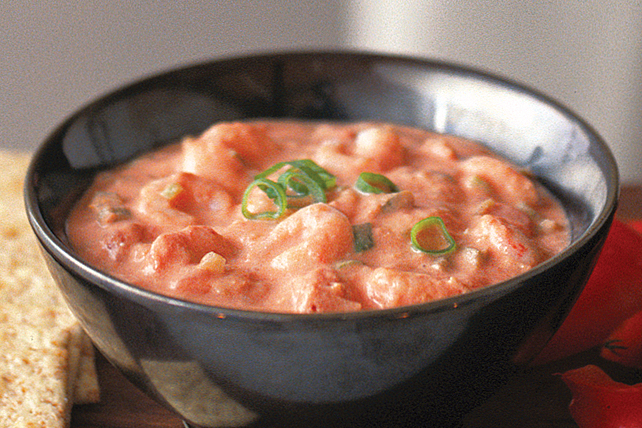 Salsa and shrimp are mixed with cream cheese for a delicious party dip made in 10 minutes flat. Served with crackers, this is one easy appetizer! Beat cream cheese product in small bowl with electric mixer until creamy; gradually beat in salsa until well blended. Stir in shrimp, celery and green onions until well blended; cover. Refrigerate at least 1 hour. Serve as dip with Christie Wheat Thins. Garnish dip with chopped green onion or cilantro.